I'm willing to bet that a lot of you on this forum are like me - you LOVE manual transmissions. As cars transition to automatic only, to electric steering and active stability control, to fully automated driving.... the analog driving experience that we get from shifting our own gears has become more and more rare. Thankfully the Solstice and Sky provide that to us. 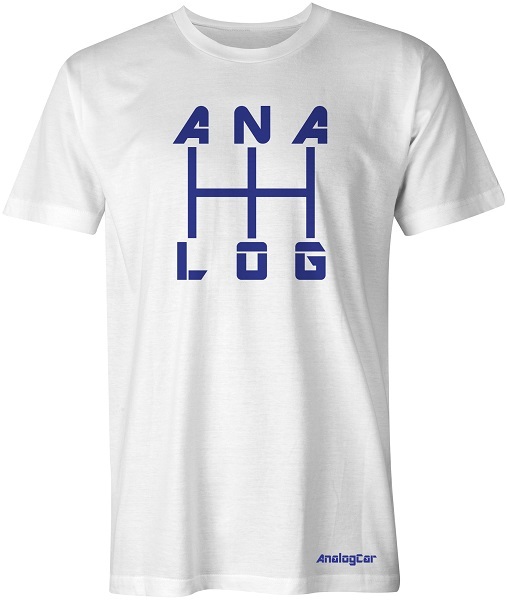 The below shirt, which celebrates manual transmissions, is just $9.99 at AnalogCar.com. Unlike the Solstice and other car themed shirts that I offer week to week, this one will be available for a while. I am able to offer the $9.99 price on this one because it appeals to a larger customer base and I had it printed in big quantities. But what you may not realize is that shipping can be combined on on AnalogCar.com, so consider getting both shirts to save on shipping! Thanks!